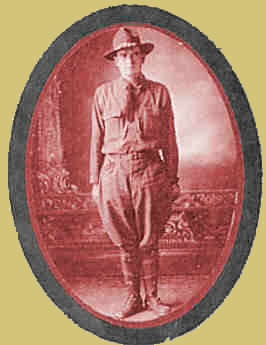 My dad, Charlie M. Taylor, was a corporal in Company L, 357th Infantry 9Oth Division, AEF and served with that outfit throughout WWI. He was in a number of battles during the war St. Mihiel, Chateau Thierry, Forest of the Vencheres, Muese-Argonne Offensive, Raids through the Hindenburg Line, Bantheville, and Baalon. He was gassed on October 23rd in the Muese-Argonne battle. 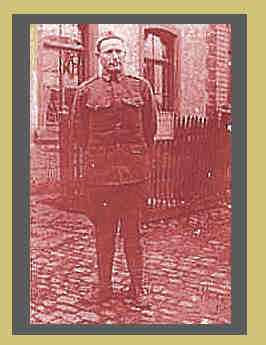 After the Armistice he served in the Army of Occupation and returned to the United States June 1919. Dad died at an early age (49) as a result of the gas he received during the war. Newport News, Virginia U. S. A. A Personal Word of Welcome And Farewell. I have come from far inland to the seaboard to personally welcome you to the home land - as a token of my deep affection for all of you with whom I served so long and. as a tribute to the greatest fighting regiment in the American Army. We are together once more for perhaps the last time. In a few days the 357th will be demobilized - its heroic deeds will exist only in history and memory, but the friendships --formed on the battlefields of France will endure forever. You are soon to lay down the arms you have carried, to glory and victory and. to take up the pursuits and. professions of Peace - as I have already done. Although back in civil life I shall always cherish my association with you. I came to the 357th at its birth, Aug. 29, 1917 and I remained with it almost to the end. when - while leading the 3rd. Battalion in its historic assault upon Baalon, November 10, 1919, I was wounded. My first task was to develop you physical1y~, Then, I was chosen to take charge of the Regimental Athletics and to lead. to Victory our football1 baseball track and basket ball teams. Next I became a Bayonet and Grenade Instructor but my happiness was complete when before going over seas I was made Captain of Company L and liter was privileged to lead that Company, which I helped. organize, into the front line of France. I left them only to serve as ~ the Operations Officer of the regiment under our great battle commander Colonel Hartmann and held that position until the final 24 hours of the War. Then on the eve of Peace I went back on a stretcher while you plunged on into Germany. Finally I have come to say goodbye -goodbye to my old Company which will ever be to me the finest in all the Army - goodbye to what is left of my fellow officers, brave commanders and comrades - goodbye to all the modest men of the 357th who win alike in football, baseball and battle. May our friendship and. our love for each other, forged in the Frontline Fire of France, live always and. keep green' the sacred memory of our boys who will never return. I hope in the years to come to see and. hear from you often and. that you will remember me as long as I shall honor and remember you. Au Revoir, God Speed and Good luck to you all.